Database replication is another means of taking backup of a database. Database will be synchronized with master and slave. We need two servers one for configuring Master and other for Slave. Once USE dbname; is issued out of the relay logs, multiple SQL statements will be processes chronologically until another USE dbname; (a different database) is issued from the Relay Logs. By default, all DBs are replicated due to the USE dbname; command within the binary logs on the master and the relay logs on the slave. This Article describes how to set up complete replication of a MySQL server. It assumes that you want to replicate all databases on the master and have not previously configured replication. You must shut down your master server briefly to complete the steps outlined here. 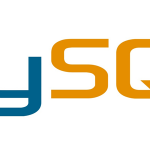 Make sure that you have a recent version of MySQL installed on the master and slaves, and that these versions are compatible. Set up an account on the master server that the slave server can use to connect. This account must be given the REPLICATION SLAVE privilege. If the account is used only for replication (which is recommended), you need not grant any additional privileges. * You can obtain a reliable binary snapshot of InnoDB tables only after shutting down the MySQL Server. A way that works for both MyISAM and InnoDB tables is to take an SQL dump of the master. For this, you can use mysqldump –master-data on your master and later load the SQL dump file into your slave. However, this is slower than doing a binary copy. If the master has been running previously without binary logging enabled, the log name and position values displayed by SHOW MASTER STATUS or mysqldump –master-data will be empty. In that case, the values that you need to use later when specifying the slave’s log file and position are the empty string (”) and 4. Make sure that the [mysqld] section of the my.cnf file on the master host includes a log-bin option. The section should also have a server-id=master_id option, where master_id must be a positive integer value from 1 to 232 â€“ 1. We have to enable networking for MySQL. Open the MySQL configuration file and comment out the following lines. For the greatest possible durability and consistency in a replication setup using InnoDB with transactions, you should use in your master my.cnf file. If you do not specify a server-id value, it defaults to 0. If you omit server-id (or set it explicitly to 0), a master refuses connections from all slaves, and a slave refuses to connect to a master. Thus, omitting server-id is good only for backup with a binary log. If you made a binary backup of the master server’s data, copy it to the slave server’s data directory before starting the slave. Make sure that the privileges on the files and directories are correct. The system account that you use to run the slave server must be able to read and write the files, just as on the master. Start the slave server. If it has been replicating previously, start the slave server with the –skip-slave-start option so that it does not immediately try to connect to its master. You also may want to start the slave server with the –log-warnings option to get more messages in the error log about problems (for example, network or connection problems). The option is enabled by default as of MySQL 4.0.19 and 4.1.2, but as of MySQL 4.0.21 and 4.1.3, aborted connections are not logged to the error log unless the value is greater than 1. You also find error messages in the slave’s error log if it is not able to replicate for any other reason. Once a slave is replicating, you can find in its data directory one file named master.info and another named relay-log.info. The slave uses these two files to keep track of how much of the master’s binary log it has processed. Do not remove or edit these files unless you know exactly what you are doing and fully understand the implications. Even in that case, it is preferred that you use the CHANGE MASTER TO statement to change replication parameters. The slave will use the values specified in the statement to update the status files automatically. The content of master.info overrides some of the server options specified on the command line or in my.cnf. See Section 14.8, â€œReplication and Binary Logging Options and Variablesâ€, for more details.